Home > News > Industry News > Which Type of Feeding Machine should be used for Stone Transportation? Which Type of Feeding Machine should be used for Stone Transportation? Vibrating feeder is the necessary mechanical equipment in industrial production. In order to adapt to the different production environment, special equipment is designed for each project. 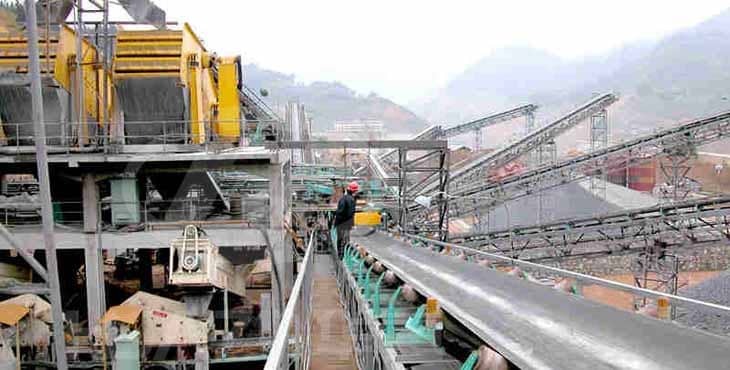 For mining production, it is necessary to use stone vibrating feeder. Following, we will introduce the stone feeders. Generally, in the stage of feeding transportation, the transported stones are large limestone, which causing huge abrasion on the equipment, so we have to choose the vibrating machine with good wear resistance. On the selection of the material of conveyor plate, it should choose resistance steel to bear high-strength workload. During the daily work of stone feeding machine, it should use larger vibration amplitude to avoid ore blockage or ore leakage fault. The project that generates large dust should be equipped with dust-proof device to ensure the clean production environment. Previous Article：Which Equipments are needed for the Construction Wastes Disposal Line?